Adlin Sinclair quote about vision. 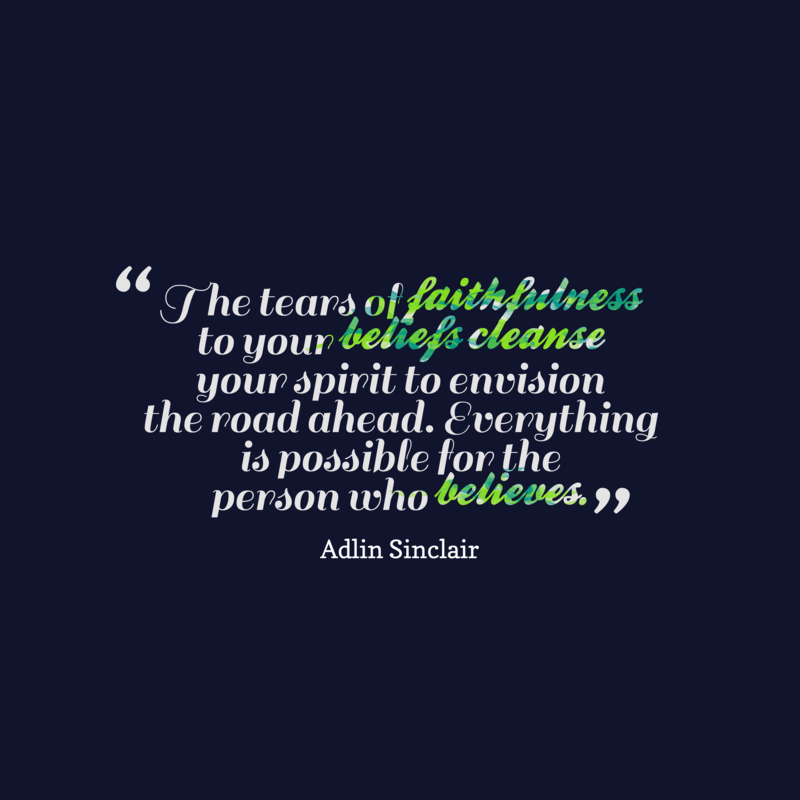 The tears of faithfulness to your beliefs cleanse your spirit to envision the road ahead. Everything is possible for the person who believes.